Are you ready for the biggest football party of the year? This year, Super Bowl Sunday will be on February 3rd. Make your Super Bowl party a fun gathering of friends and family, and most especially a treat for the sports fans. The day is just a few days away, so now is the perfect time to start planning the most important football party, if you haven’t done so yet. We’ve got the goalposts set up for you, so all you have to do is make the touchdown. This sounds like a no-brainer, but since the viewing room is the center of your party you have to double-check! Check if the game is ready to be streamed and make sure nothing’s going to cut off your connection. Be sure that the TV is in a place where everyone can comfortably see it all the time. Create a comfortable viewing area for all your guests. Prepare to rent some tables and chairs if needed. You can’t be more supportive of your favorite team by wearing the team colors. Also, decorate your party place with team colors dictating the color scheme. Make a scoreboard, buy banners, streamers, balloons, whistles, pom-poms, and eye black kits, inflatable footballs, for everyone to have lots of fun. Don’t forget the music! There’s no party without music. Think of a playlist everyone would like, and pump it up pre- and post-game. Super Bowl commercial breaks can be a drag. Don’t let the fun die down by inserting a few short games! Anything from Super Bowl Commercial Bingo (where, instead of numbers, you have the names of companies running ads), or even a Superbowl-specific drinking game. 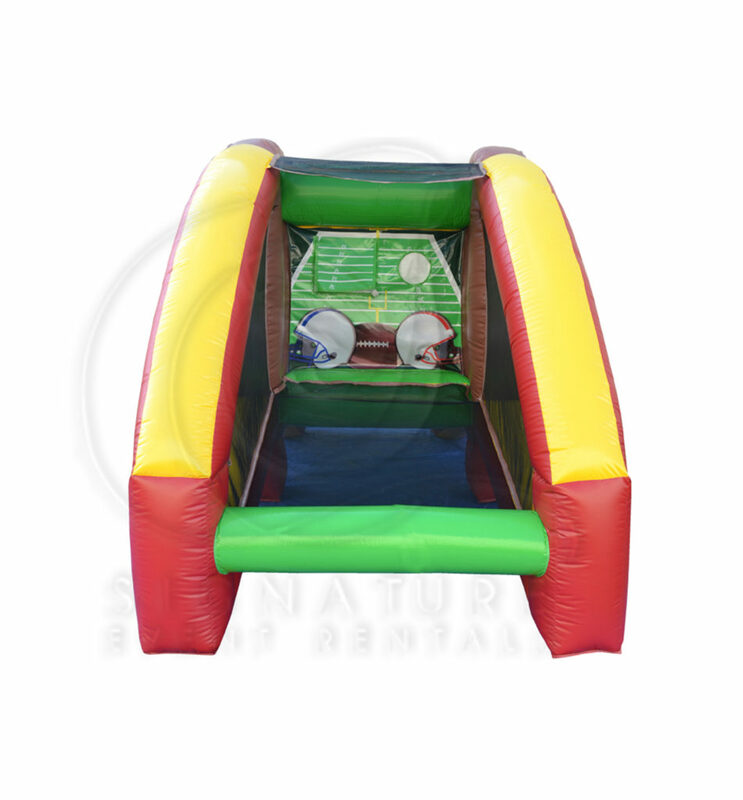 For those not really into the game itself, why not have some fun with the football inflatable rental? Think comfort food like pizza, chicken wings and nachos. To add some variety, how about thinking of dishes based on each team’s hometown? Add a stadium vibe by renting food concessions like a cotton candy machine or popcorn machine. For drinks, make sure you have options available other than beer. Include non-alcoholic punch, soft drinks, and lemon or lime-infused water. Make it an extra special game day to remember by renting a photo booth to have your photos taken and have photo keepsakes made. Your guests will be impressed! Create an appropriate backdrop by hanging a banner or streamer. Bring out a helmet and football to use as props. These tips are set to take your Superbowl party from good to awesome! Ask a few family members and friends to help you set up before game time, so you can get their championship spirits pumping early. 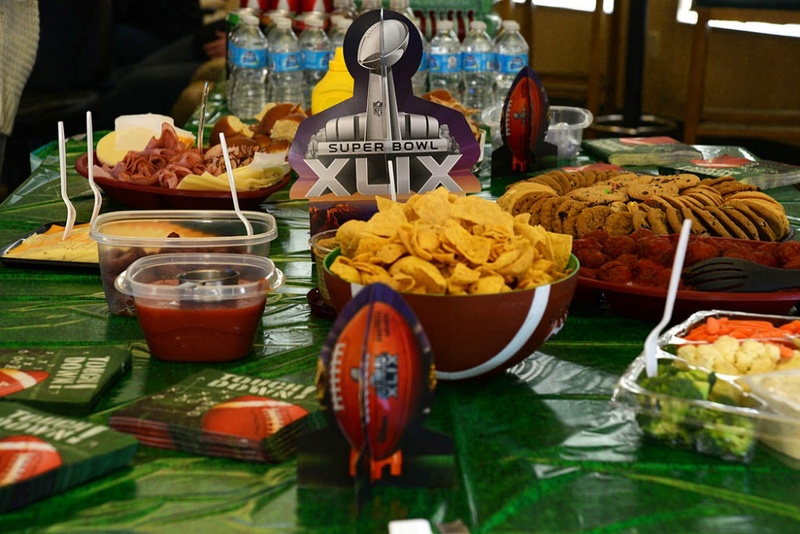 Call Signature Event Rentals now to reserve your party rentals for your Super Bowl party in Frederickburg and nearby areas.